Our first web app release out of beta. 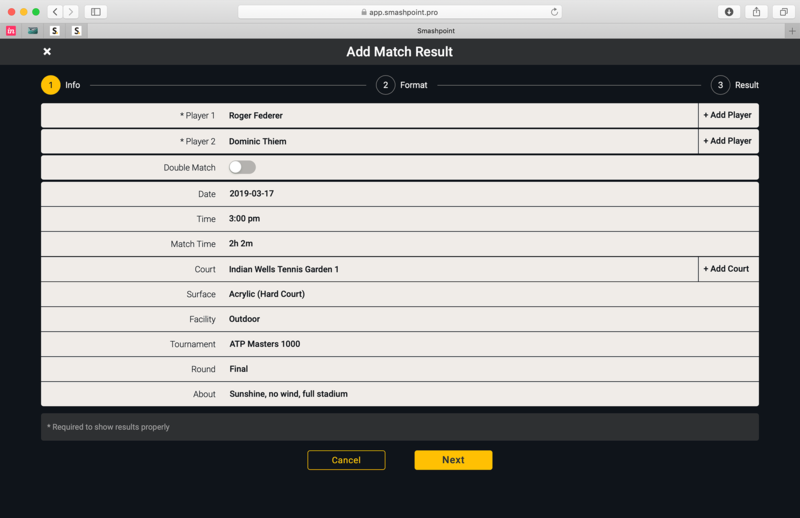 Thanks to very useful user feedback we continue to improve our tennis tracker platform for your favorite web browser, iPhone, iPad or Apple Watch. We added a dedicated Rankings screen. 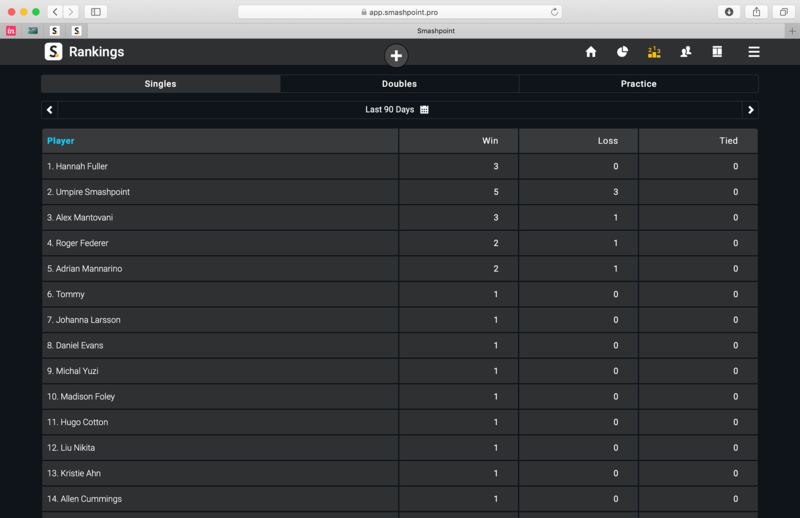 Select Singles, Doubles or Practice to see who is the leader in your player network. We added new fields to the Match entry UI. You can now add Tournament, Round and extra information such as weather in the About field. To make unlocking Pro as easy as possible we added payment capabilities to the web app. 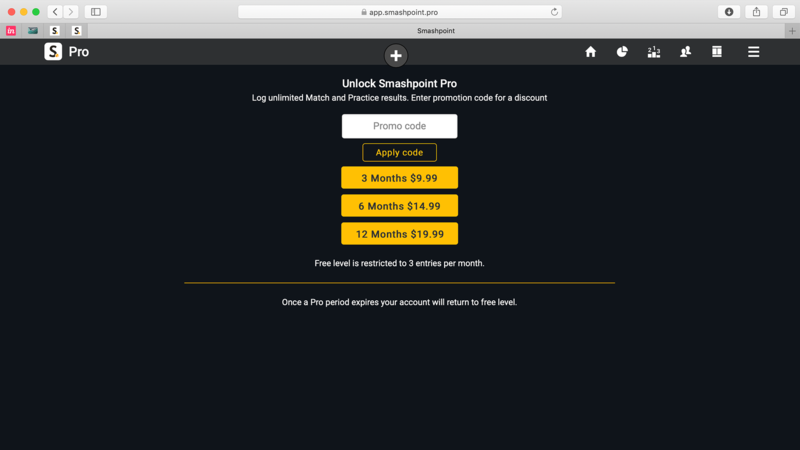 With a few simple clicks you can unlock Pro now in your web browser. We integrated with Stripe for easy and secure payment processing. One more thing! You can apply a promo code for a nice discount. Don’t have one? Email us to get one. Unlock Pro: easy to use payment system with Stripe. Apply promo code for a discount. 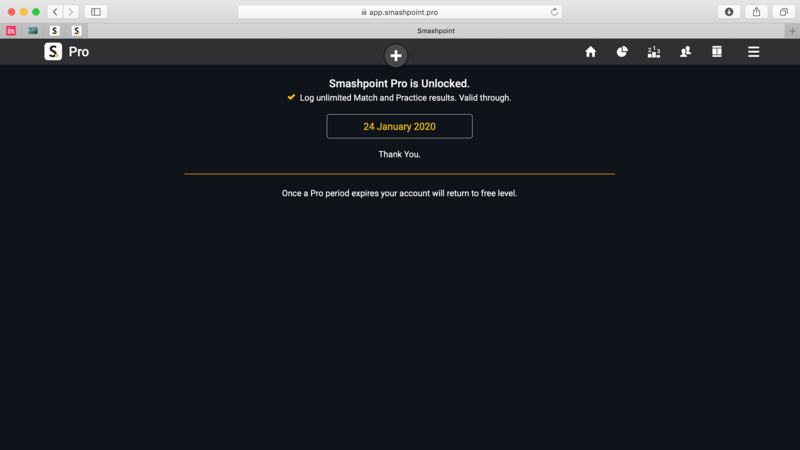 Smashpoint Pro unlocked. Log unlimited match results across the web app, iPhone, iPad or Apple Watch.